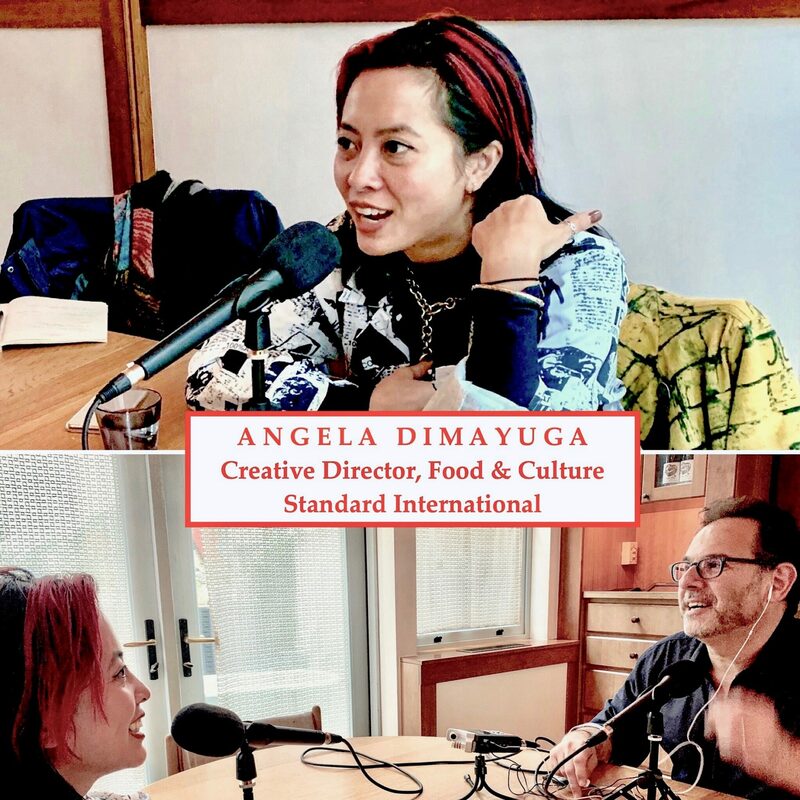 Angela Dimayuga’s gift for weaving art, culture, politics, and locality into restaurant food & spaces inspired Standard International to create a new position for her in 2018. As the company’s Creative Director of Food & Culture, Dimayuga–who first drew attention as Executive Chef of Mission Chinese Food in New York City–is taking a fresh look at all aspects of existing Standard restaurants and food programs, and helping shape them in upcoming projects such as a planned hotel in London. She shares the origins of her interest in cooking as a child in San Jose, California, as well as the first stirrings of her artistic and musical interests, her move to New York City and early jobs, such as a formative one at Brooklyn’s Vinegar Hill House. Here’s a thought: If you like what you hear, please tell your chef-fascinated friends, subscribe to Andrew Talks to Chefs (it’s free) on iTunes or Stitcher, follow us on your favorite social media platforms @ChefPodcast, and/or rate or review us on Apple’s podcast store. Thanks for listening!